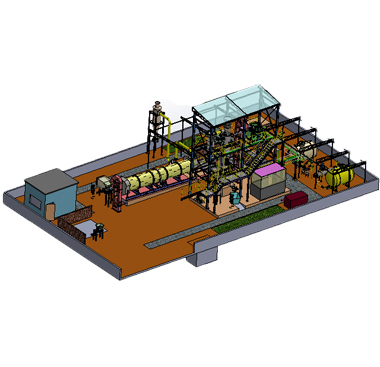 Gasification is a unique process that transforms any carbon-based material, such as Agro Waste, into energy without burning it Instead, gasification converts the materials into a gas by creating a chemical reaction. This reaction combines those carbon-based materials (known as feedstock) with small amounts of air or oxygen, breaking them down into simple molecules, primarily a mixture of carbon monoxide and hydrogen, and removing pollutants and impurities. What’s left is a clean “synthesis gas” (syngas) that can be converted into electricity and valuable products.